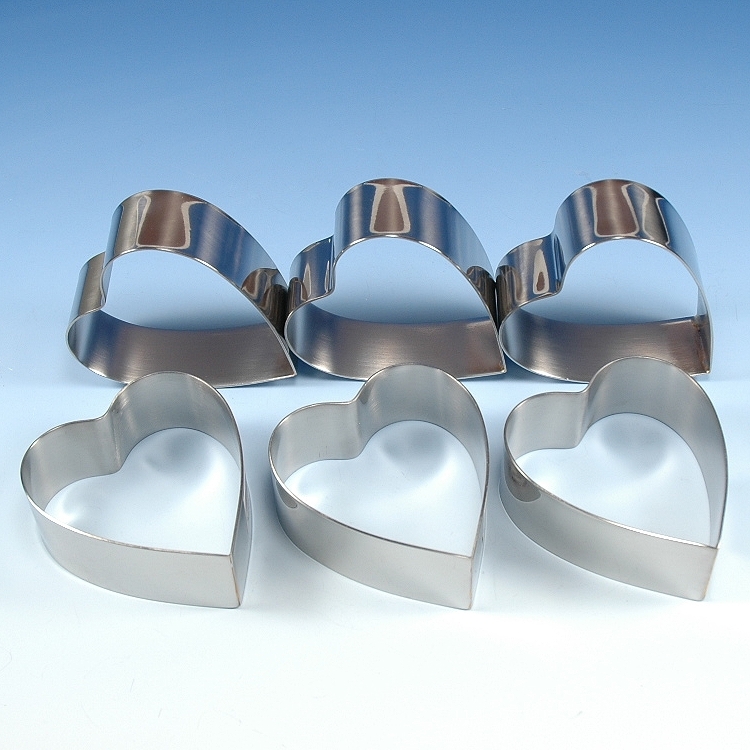 Popular individual serving Heart Rings, ideal for plated entrees and desserts. Bottomless mold for easy unmolding. Use for baking, freezing and assembly of portion sized creations. Length 3 3/4", width 3 1/4", height 1 1/4"